Inside Urbino’s 15th century walls one finds oneself transported back to the time of Federico da Montefeltro, Duke of Urbino between 1442 and 1482. The city he built has changed very little since then – the walls were still the city’s official boundary until the end of WWII. 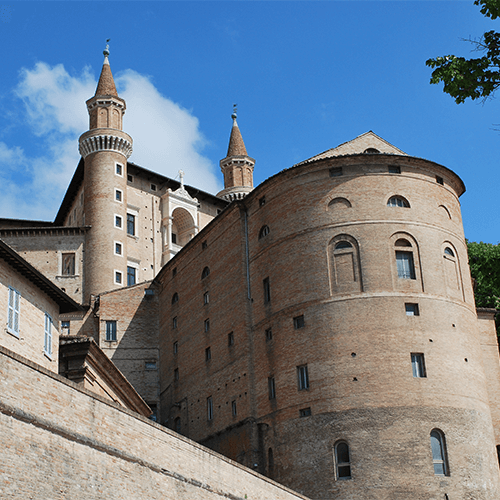 Urbino now houses the National Gallery and Archaeological Museum in the Palazzo Ducale, one of the most beautiful buildings in a city not short of fine architecture. The gallery also makes Urbino one of the best places in Italy to come for art, as it contains works by artists such as Raphael, who was born here.